Intelligent Divorce Solutions is dedicated to financially representing clients who are going through divorce. Intelligent Divorce Solutions offers an efficient, cost-effective and confidential process to craft creative solutions in a private setting rather than going to court. Our goal is for you and your spouse to come to an agreement. Acting as a neutral party for couples or individually with one spouse, we can resolve property division and other settlement issues. If all processes fail, a mediator can help you explore alternatives and reach solutions tailored to the specific needs and objectives of your family. If the mediator cannot bring you to a resolution, you may each have to hire a divorce attorney to litigate on your behalf. Feeling overwhelmed? Let us help you have a more intelligent, more informed, more cost effective divorce. You don’t need to waste thousands in a drawn out court battle. 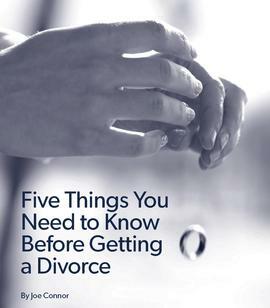 Divorce is such a traumatic life event that it is important to have an experienced financial professional on your team. A Certified Divorce Financial Analyst is an excellent resource for divorcing couples. A CDFA works with clients to calculate the financial effects of the divorce settlement.